The widow and two kids of an inmate who died in hospital after behaving in a bizarre manner in jail in Shawnee County have reached a settlement with the local government to be paid $500,000 in exchange for dismissing a lawsuit against the county for alleged negligence that led to the inmate's death. The story was reported by cjonline.com. The inmate, Julio C. Augirre, 35, was sent to the hospital after he engaged in weird behavior, drinking from the toilet and speaking incoherently. He suffered physical injuries and died in hospital two days after admission as a result of health problems. 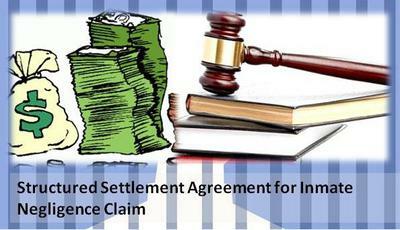 According to the settlement agreement, the claimants will purchase a structured settlement annuity to tat total of $650,000 (the structured settlement amounts to more than the original claim because of the inherent interest rate).